The Right Inspector, Right Now. 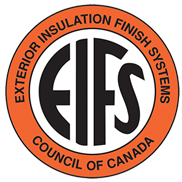 If You Are Looking For A Home Inspection Near Me In Edmonton? 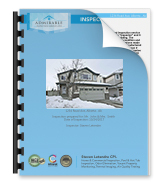 Admirable Inspection Services is Trained, Certified and Bonded with the Alberta government to perform residential home and house inspections in Edmonton and surrounding areas. Continuing education, and certified by world’s largest home inspection association, you can be assured of a professional home inspection done once and done right. 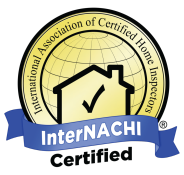 Certified with the Alberta Government, Baeumler Approved Service Provider and InterNACHI, (worlds largest home inspection association)Admirable Inspection Services strives for excellence and professionalism in home inspection Edmonton. But don't take our word for it read our many testimonials at bottom of page. 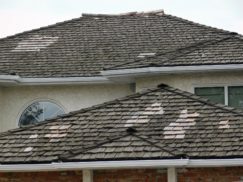 Your home inspection Edmonton also includes some of the best guarantees and warranties: 5 Year Roof Protection, RecallChek, SewerGard, MoldSafe, 90 Day Home Warranty and much more. These warranties will save you the unexpected large bills that can be hard to fulfill especially just after a large purchase like your home. We can see things that other Edmonton home inspectors can't. 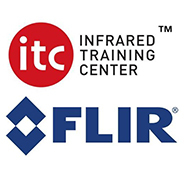 Our infrared certification and thermal imaging camera can see issues like missing insulation, leaking toilets, and moisture intrusion in walls. Save thousands of dollars by noticing these potential issues early. Click here to learn more. Professional licensed and certified residential and commercial property inspection services in Edmonton and surrounding areas. Certified indoor air quality consultants. Thorough inspections that go beyond industry standards. Click to view a Sample Home Inspection Report. Commercial report upon request. Gordon K. from Admirable Inspection Services arrived on time as well as finished by his quoted time. He was very friendly, professional and efficient. He checked areas I would not have thought of. He was also nice enough to give me direction on how or where to have things fixed or corrected. His report was detailed, yet easy to understand. I’d recommend Admirable and Gordon, without a second thought. I would recommend their services and will be using them again. My mom recently purchased a brand new condo. We were not entirely certain that an inspection was required because of the ‘new build’ status but we were certainly glad that we did have Steve come in and check everything out. Steve was an absolute pleasure to work with, extremely professional and thorough - took the time to ensure we understood the process, paid particular attention so some of the areas that we were unsure about, and also gave us a full verbal review (right after the inspection) to ensure we understood the magnitude of all potential problem areas. The written report was extremely detailed, very thorough and well written, we definitely saved ourselves some headaches later as Steve caught a lot of issues that we would not have been aware of (most notable was the installation of an additional/proper venting structure to ensure optimal heat/air conditioning). 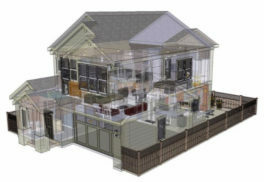 We also appreciated the additional guidance that Steve provided in helping us assess the various solutions offered by the builder for some of the fixes. Mom and I definitely would recommend Admirable Inspection Services to anyone requiring an inspection in the future. Admirable Inspections Services Ltd inspected my home. Gordon was amazing. He was on time, very professional and knows his stuff. He was extremely thorough and completed the inspection within the time he stated and gave me a great Inspection Report so that I could follow-up on all repairs. The inspection report was incredibly detailed, easy to follow, and had great pictures. The inspection was also very reasonably priced. I would recommend Gordon of Admirable Inspections Services Ltd. to anyone! I don’t typically give reviews, usually only when I'm really angry about something. But Steve was excellent, very professional and answered a thousand of my questions. Also, he took his time and did a very thorough inspection. I would definitely recommend. Hopefully this helps someone in the future to get a great inspector. This guy is an construction & structure encyclopedia, very easy going you can ask any questions you want, you will get the best of advices and recommendations, very polite and extremely safe and professional, he'll make you walk through every single little detail and he'll make sure you know what are you buying, I really appreciate that. Gordon did a fantastic job inspecting each and every place inside and outside of our place. He was very professional, quick and extremely thorough. Very impressed with the report that was sent to us afterwards, it explained everything clearly and included pictures and recommendations. Highly recommend this company for all your home inspection needs! I've used Steve with Admirable for quite a few of my clients and I have to say how impressed I am not only with his professionalism but also his knowledge and willingness to go the extra mile for his clients. If I could rate him 6 stars I would. Admirable inspection services were professional, proficient and helpful. Guidance was offered but not pushed. I highly recommend this company. Our realtor recommend Steve to us and we couldn't have made a better choice. He is pleasant, professional, very informative and experienced. Steve did a very thorough inspection of the brand new build we bought, we expected there to be very few issues but he pointed out some serious problems that I think saved us headaches in the future. He did an awesome job and we highly recommend him for your home inspections. As a Realtor, I highly recommend Steven to my clients because I know he will do a thorough job and be there for any questions they may have. Great value for the service provided! We are Roofing Contractors that take any concern of leaks pretty seriously. We had a roof where water was pooling at end of shingles. There was water coming down in front of face between fascia board and recently lowered gutters. No sign of leakage into home or soffit area. However we wanted to be absolutely absolutely sure that there was no risk of water. Steve from Admirable showed up within 30 minutes. He did tests on fascia board, inside, attic space and using his technology was able to give our customers peace of mind that the only thing needed was some gutter modifications. His roof was dry and leak free and all wood was sealed in. Our customer trusts our company, refers us business, and speaks our praises because Admirable invests in technology that provides data and facts to support expert opinions and closes the gap of trust and information, from expert to paying client. Admirable has since been a partner of ours and makes us look great every time. Great service, communication, he's personable with clients and is flexible and accountable. I wish more companies we do business with could be like Admirable! Thought my small business had a mold problem, with Steve's help we determined there was not. His fast service and excpertise proved the complaint to be untrue. He was able to speak with occupational health services and clear up the matter. I would strongly recommend Steve's services. Very professional and knowledgeable!